I didn't realize that I hadn't posted this one. I've had it for about a month and a half and it's my only acquisition since my last post. 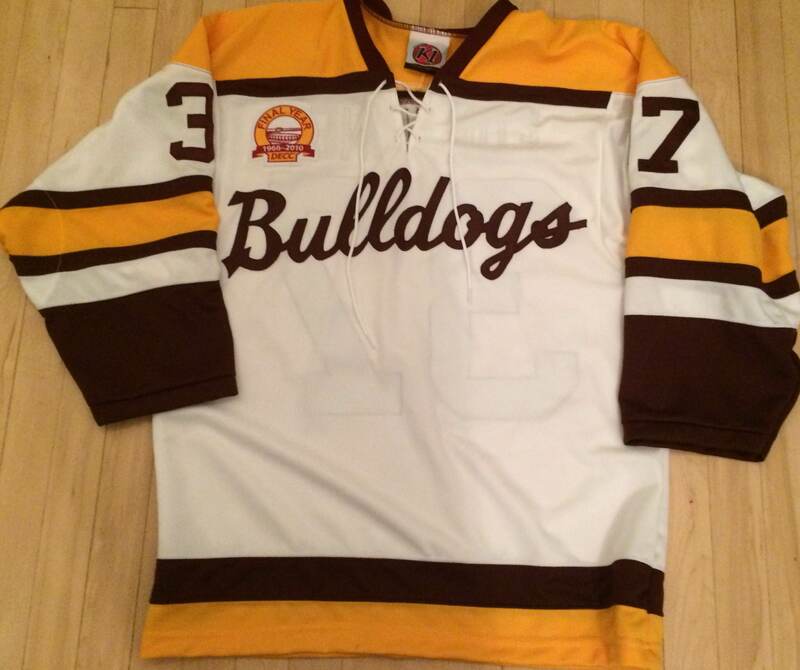 I really like what UMD did with these jerseys. They are alright as a one-off. I was a little disappointed that they used the same design for both the Men's and Women's teams. I was able to pick up the jersey of Freshman Center Cal Decowski. He didn't play the night these were worn so it's more of a Game Issue. I went to high school with him and really like how he plays. He's the kind of player that can only get better the more he plays. Hopefully this team can put it together and at least make it to the WCHA Final Five. Did you see this before it ended? Those outdoor games seem like a good experience in that type of scale. Hopefully UMD can get on board with an outdoor game at some point in the future. 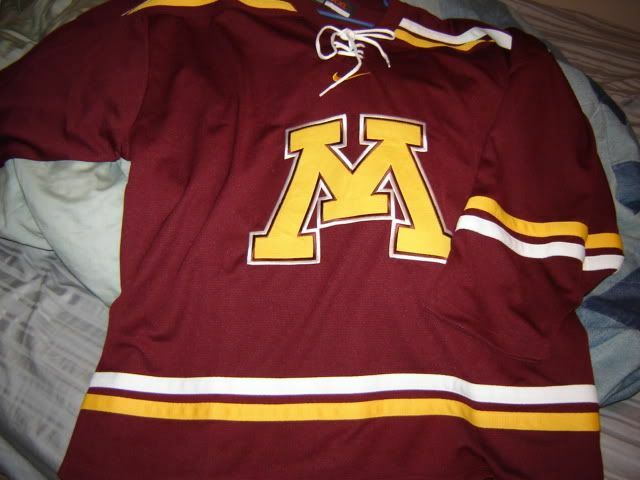 Hopefully I'll have a new UMD addition by the end of the month via Vintage Minnesota Hockey. the experience of it was pretty cool. was pretty cold as well and wish i would have had even more layers on. needless to say, when the Wild get their Winter Classic I will be well prepared. nice! now ya just gotta get the name put back on. i like the Reily boys, good work ethics out of all of them. 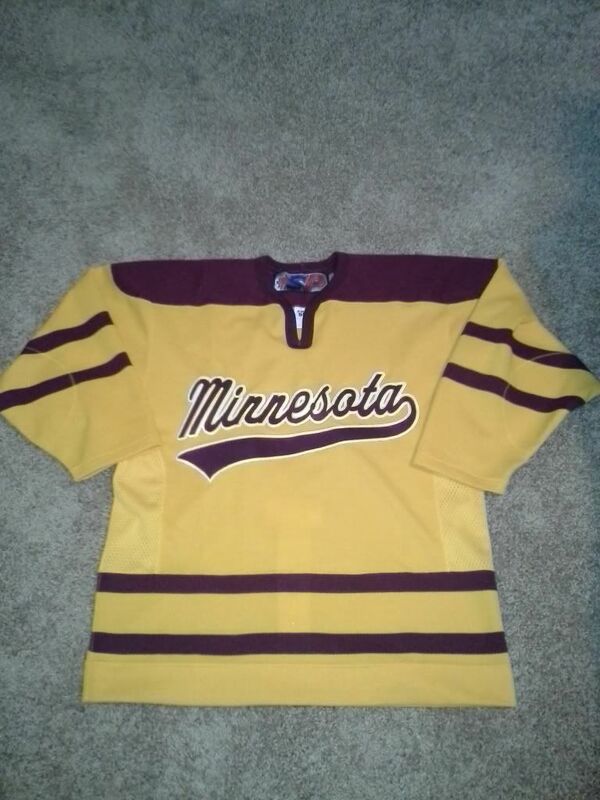 if you decide to do a nameplate, let me know and i will PM you the name of the lady who does the Gopher jerseys. Get that rodent crap out of here! ^I will reserve my trash talking for after this weekend Darn Whioux fans. Haha, I'm not much of a trash talker, but I'll be down at the X this weekend, so if you see one of those sweaters roaming around, don't be a stranger. I am debating picking up a ticket for Saturday if. A. The Gophers win Friday. B. I have enough work done to my home projects that I can step away for a few hours. 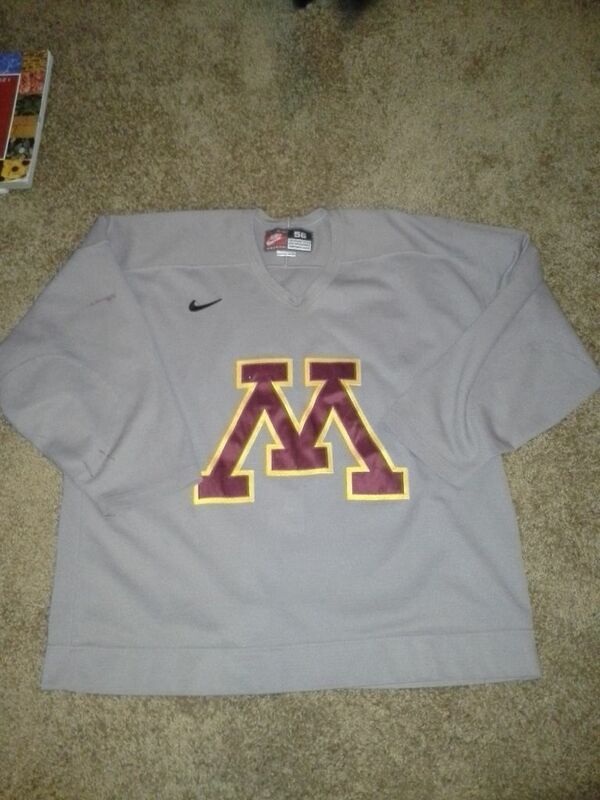 I more than likely would rock the Grey Practice worn or the casey hankinson designed. gotta go with the obscure! It's been quite awhile since I've posted here and my collection has grown quite a bit in the last year. Would love to see if anybody has else has picked anything up lately. This is my most recent one and is quickly becoming my favorite in my collection. 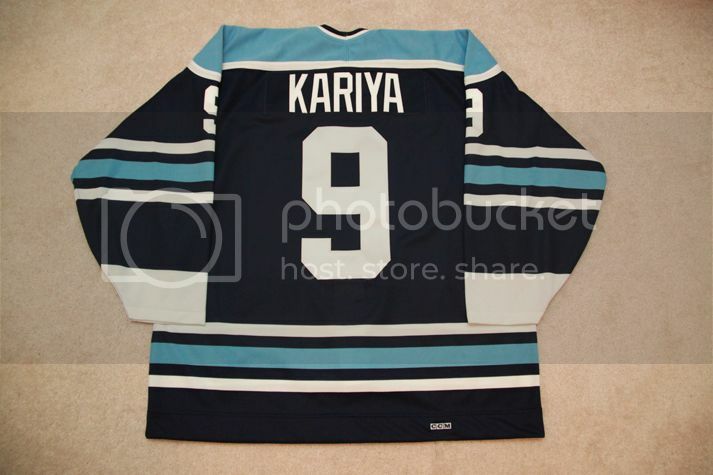 That Kariya is a beauty. Would love to own one someday. 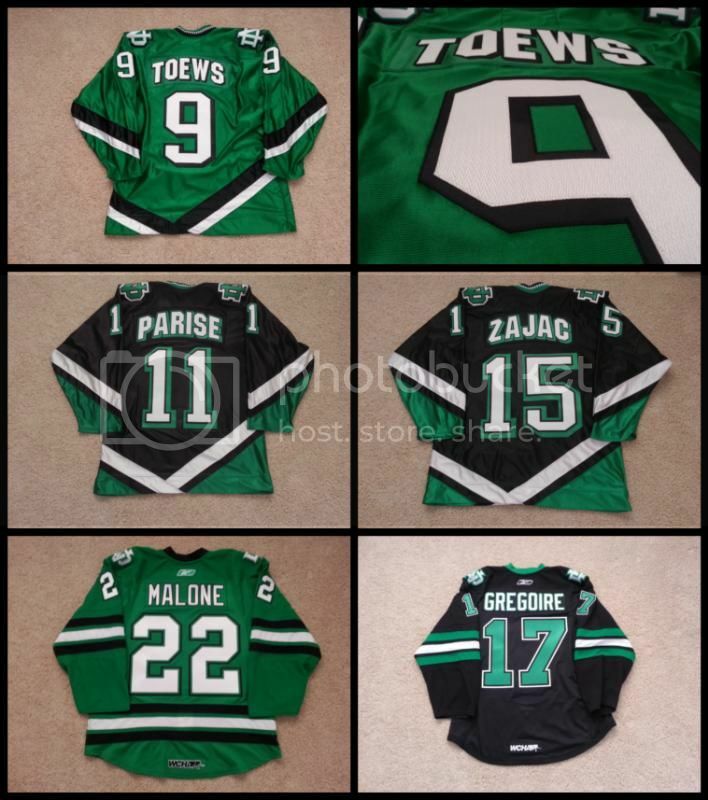 It's about the only other college jersey I'd consider getting other than a Sioux. Probably the greatest college hockey team we will ever see right there. Nice Kariya! 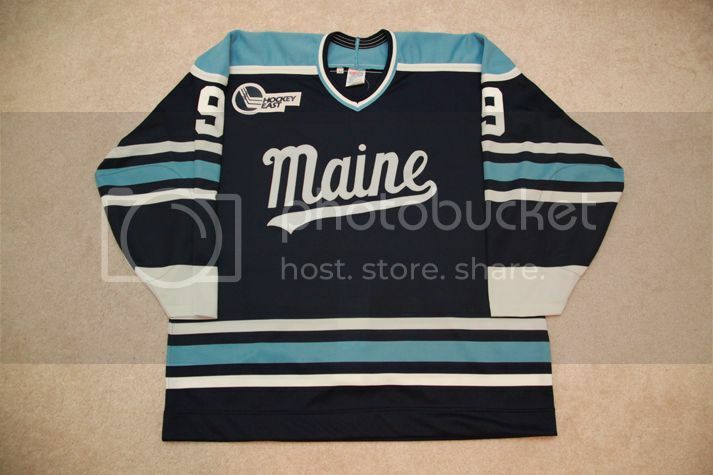 I've always liked Maine's double blues. Been looking for this style in white for a long time before finding this gamer. It has tons of wear all over! I think this was used for both seasons this jersey was used. 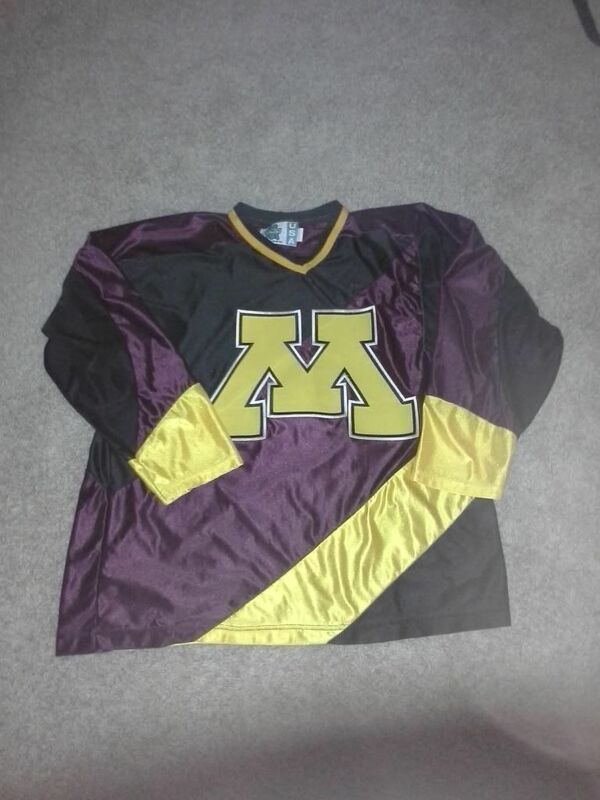 Thankfully UMD has kept with more classic designs since getting rid of it but I also love it for how unique it is compared to everything else they've worn. 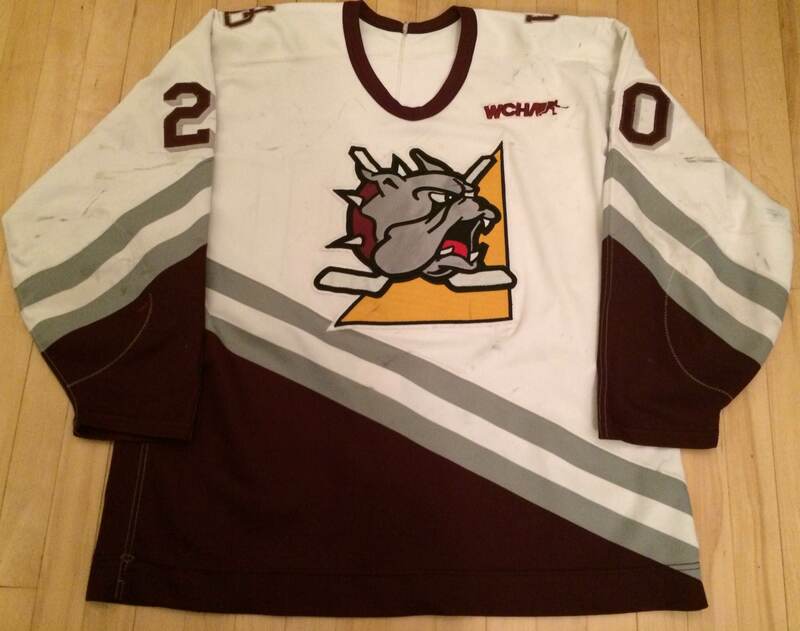 This was worn during a 4 goal 3rd period come back against UMTC in the 1998 WCHA Playoffs, easily the best moment this sweater would have been apart of. I have a set of jerseys I hope to get back next week to show as well! Here are my pick ups for today. 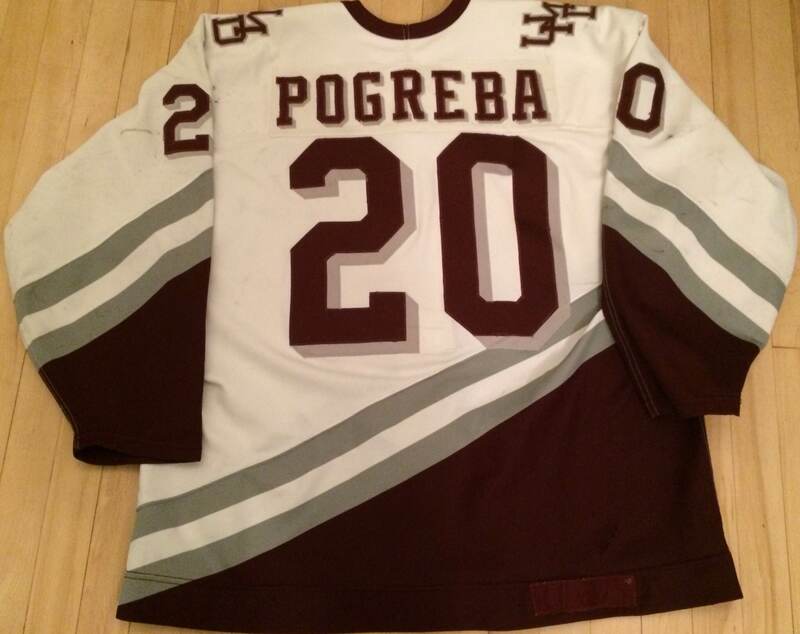 These are two jerseys customized at Vintage Minnesota Hockey. Both of these are replicas btw. 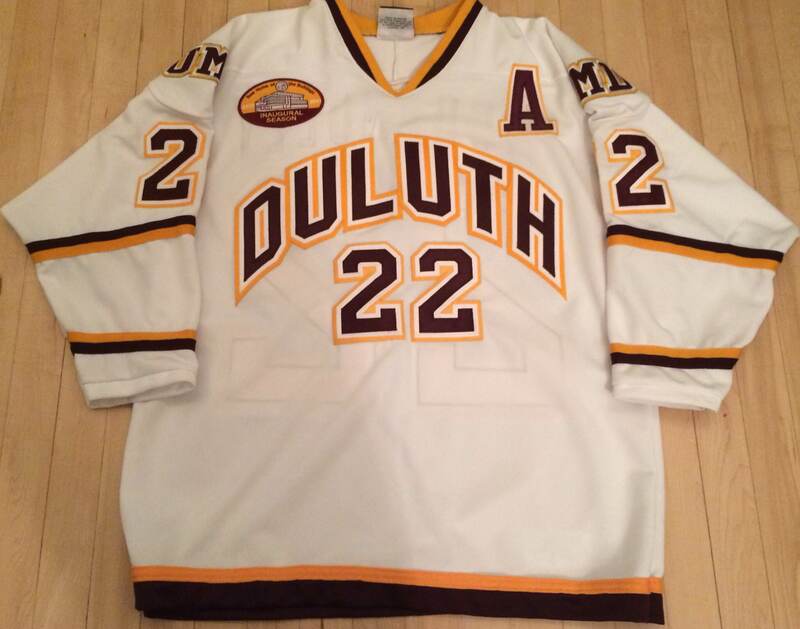 This was worn December 3-4, 2010 to commemorate the final series at the 40+ year home of UMD Hockey. It featured a patch on the front for the occasion as well. Justin Fontaine was a senior during this season and was the only time he wore this style, which became the home jersey for the next two seasons (it was also worn for a weekend in November 2006). 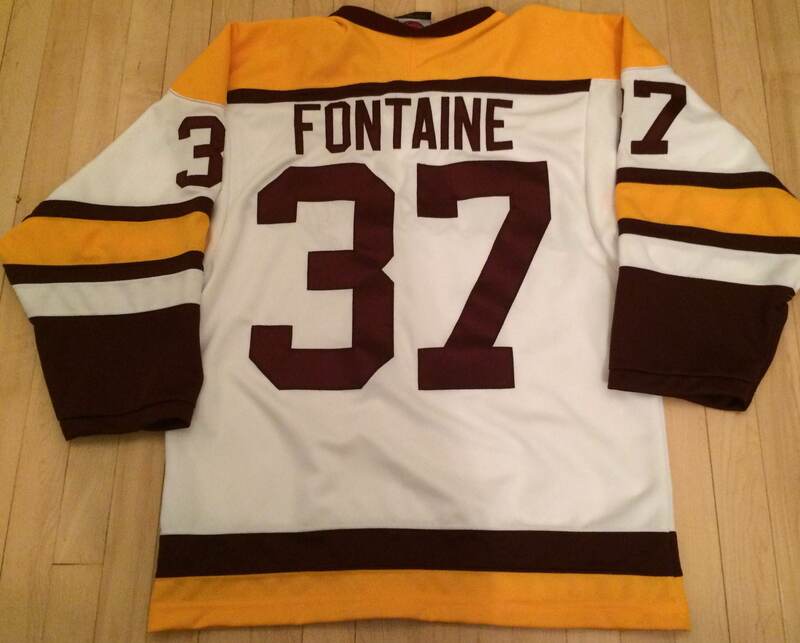 Fontaine had 58 points that season, playing with Jack and Mike Connolly on their way to the National Championship. Fontaine finally made it to the NHL this past season with the Minnesota Wild and signed a new 2 year contract with the team. This jersey made appearances on the first page of this thread a couple years ago. 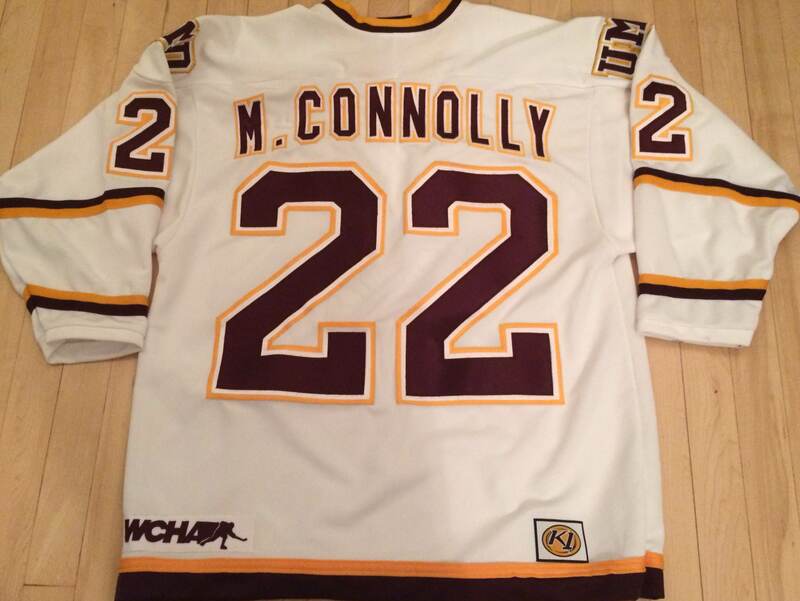 Finally got it customized with Mike Connolly, an integral part of the team that season. He put a North Dakota player through the glass wearing this style before it was never seen again after a 5-0 loss. Mike left UMD after his junior season, signing with San Jose before being traded to Colorado. He currently plays in the DEL. Did you get in on the Bergman AMSOIL gamer that was on ebay? I didn't. I was aware if it but with my most recent addition plus this batch, I just could afford it. Plus I didn't want to spend the money on a gamer from that game.